Combats skin sagging, redefines facial contours and creates a more youthful appearance. Combats skin sagging, redefines facial contours and creates a more youthful appearance. 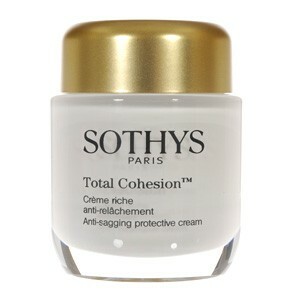 As always by Sothys, proven results: Re-densifying, firming effect - 41% using a cutometer. Anti-sagging effect - 94% satisfaction (self-opinions of those being tested). Total Cohesion replaces the former Sothys Capital Fermete line. For Dry or Dehydrated Skin.